Located in the heart of Little Armenia, Children’s Hospital Los Angeles provides world-class medical care in our community and around the world. Our work to build healthier futures for children extends far into the Armenian community and is inspired by the patients we treat. We have treated over 13,000 Armenian children in the last seven years. Through medical missions, telemedicine efforts and partnerships with the Armenian Bone Marrow Donor Registry and the Armenian Eye Care Project, we share our expertise and touch the lives of Armenian children locally and in Armenia. Our staff of over 125 Armenian physicians, researchers, registered nurses and allied health professionals grows every day. Excellence in patient care, research, medical education and community outreach at Children’s Hospital Los Angeles is made possible through the generosity of compassionate members of our community who help support breakthrough therapies and treatments that save young lives. Every gift, large or small, supports our commitment to the health and well-being of all children. The Armenian Ambassadors of Children’s Hospital Los Angeles are a committed group of community members, organizations and businesses dedicated to creating hope and building healthier futures for all children. Our goal is to work together to help give Children’s Hospital the best resources to care for our kids. We invite you to join us on this journey of hope and help ensure excellence in pediatric care today and for future generations. Share your enthusiasm by creating your own personalized fundraising page or host a fundraiser event in support of CHLA. For more information contact ArmenianAmbassadors@chla.usc.edu. Meet Sasha- one of our youngest Ambassadors! From the day she was born, Sasha has been living with Cerebral Palsy (CP). To help manage and improve the physical challenges of her CP, she participates in the art therapy programs at Children's Hospital Los Angeles (CHLA). Painting denim began as a fun craft to do outside in the springtime. As she began to enjoy making art in her backyard, Sasha, with the help of her mom, came up with the idea to give back to her community, one painted piece of denim at a time. For a donation, Sasha will hand-paint your jeans or denim item and has already raised over $30,500.00. 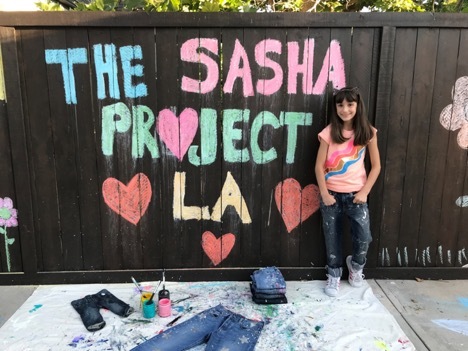 One-hundred percent of the proceeds from The Sasha Project LA, a nonprofit organization, are donated to CHLA’s art therapy programs, programs that help Sasha and thousands of other patients heal through art. We are grateful to Kim Kardashian-West and System of A Down for their enthusiastic support of Children’s Hospital Los Angeles and the Armenian Ambassadors! On December 1, 2018, Armenian Ambassador, Mary Terterov hosted a holiday “Book Blunch” at her home. The festive holiday brunch raised funds and collected books for the Literally Healing program at Children’s Hospital Los Angeles. We are grateful and humbled by Mary’s generosity and thanks to the philanthropic support from Mary and her friends, we’re able to make a meaningful difference in the lives of the children and families in our care. Thank you Mary! 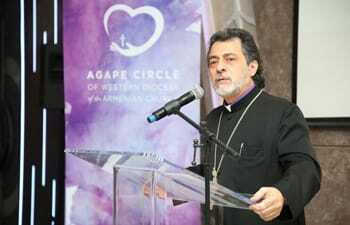 On October 18, 2018 the Agape Circle of the Western Diocese of the Armenian Church (WDAC) of North America celebrated their 5th anniversary at the Chevy Chase Country Club during their annual fundraiser luncheon. Under the leadership of His Eminence Archbishop Hovnan Derderian and chairlady, Alice Chakrian, the Agape Circle has raised over $100,000 in support of various clinical programs at CHLA. Archbishop Derderian recently announced that they will fundraise an additional $50,000 in support of The Vision Center. On behalf Children’s Hospital Los Angeles, we extend our sincerest gratitude to Archbishop Derderian and Alice Chakrian as founding members of the Armenian Ambassadors, as well as the ladies of the Agape Circle and the WDAC community for their loyal support. We are humbled by your generosity and fortunate to call you friends, advocates, philanthropic partners and Armenian Ambassadors of CHLA! On September 18, 2018 Children’s Hospital Los Angeles’ President and CEO, Paul S. Viviano invited the Armenian Ambassadors to attend a pivate reception and panel discussion highlighting how innovative telehealth at CHLA touches the lives of children locally and in Armenia. Grateful patient family and CHLA ambassadors, Isabell and Sasha, shared how Sasha’s experience with art therapy as a patient inspired her to give back to CHLA in a creative way through The Sasha Project LA. The Armenian Ambassadors were recognized for their enthusiastic support of CHLA’s mission, raising over $1.3 million in support of various clinical programs. The Agape Circle’s 3rd Annual fundraising luncheon benefitting Children’s Hospital Los Angeles was held at the De Luxe Banquet Hall in Burbank on Thursday, November 17, 2016. 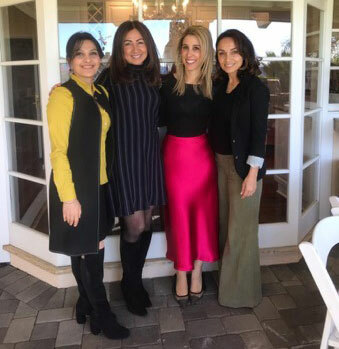 Through a variety of community fundraisers organized by the wonderful ladies of the Agape Circle, the Western Diocese of the Armenian Church has pledged to raise $100,000 for CHLA’s programs and services. To date, $50,000 has been fulfilled in support of the Vision Center, the Children’s Center for Cancer and Blood Diseases, the Newborn and Infant Critical Care Unit, the Literally Healing Program and the Interfaith Center. CHLA is grateful to His Eminence, Archbishop Hovnan Derderian and the Agape Circle for their commitment as Armenian Ambassadors of CHLA! AVDA Auction raises over $14,000 for CHLA! On December 18, 2015, AVDA Auction held its 3rd annual fundraiser benefiting Children’s Hospital Los Angeles (CHLA). 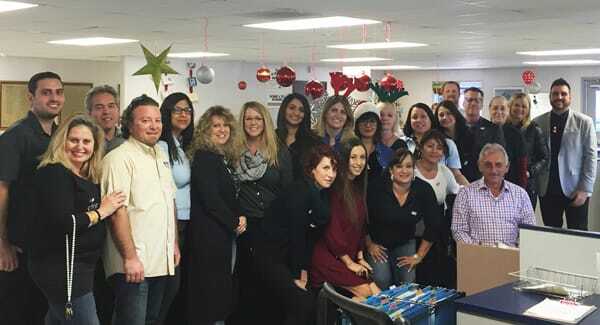 AVDA contributes a percentage of sales on their CHLA Day and encourages their customers to give to CHLA as well – this year’s contributions totaled over $14,000, bringing their three year giving to $35,000! We are deeply grateful to Vahe “Victor” Soghomonian, Founder and President of AVDA Auction, for his support and for his leadership as a member of the Armenian Ambassadors Leadership Council at CHLA. Our gratitude also to the entire AVDA Auction team for their enthusiastic efforts in support of our brave young patients! 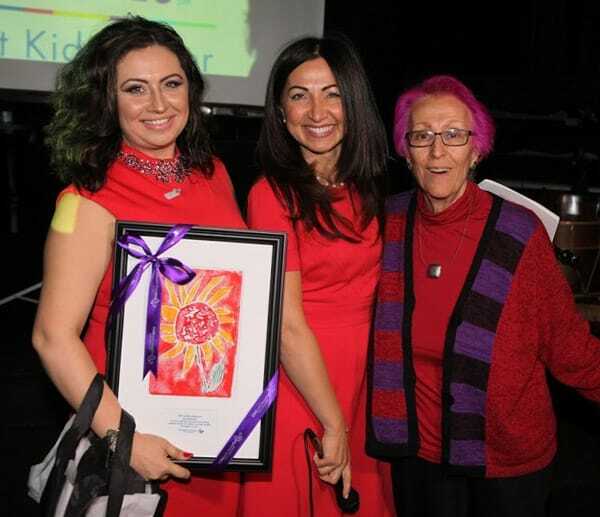 Armenian Ambassadors Leadership Council Member Ani Simonian raises $29,000 in support of CHLA! Grateful patient parent and mother of three wonderful children, Mrs. Ani Simonian is no stranger to hosting elegant gala’s on behalf of Children's Hospital Los Angeles and, this year was no exception! On the evening of November 19, 2015 at the Mandaloun Banquet Hall, Ani hosted her third successful gala benefitting the Division of Neurology at Children’s Hospital Los Angeles and raised $29,000 toward her $100,000 pledge to the division! CHLA is deeply grateful to Ani, her amazing family, and all her guests for their support. The Western Diocese of the Armenian Church raises $30,000 in support of The Vision Center! On November 19, 2015 the Western Diocese of the Armenian Church (WDAC) held their second luncheon benefiting Children's Hospital Los Angeles. Planned and coordinated by the WDAC-CHLA Committee, chaired by Mrs. Alice Chakrian, this year's event was hosted by Diana and Garnik Galoostian at the Impressions Banquet Hall in Glendale. 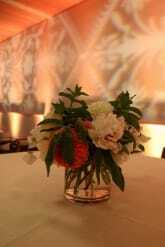 The luncheon was a tremendous success and raised $30,000 in support of The Vision Center, Newborn and Infant Critical Care Unit and Literally Healing program! We are deeply grateful to His Eminence, Archbishop Hovnan Derderian and the WDAC committee for their tireless efforts as Armenian Ambassadors at CHLA. AGBU Manoogian-Demirdjian School raises over $7,000 for Children’s Center for Cancer and Blood Diseases at Children’s Hospital Los Angeles! 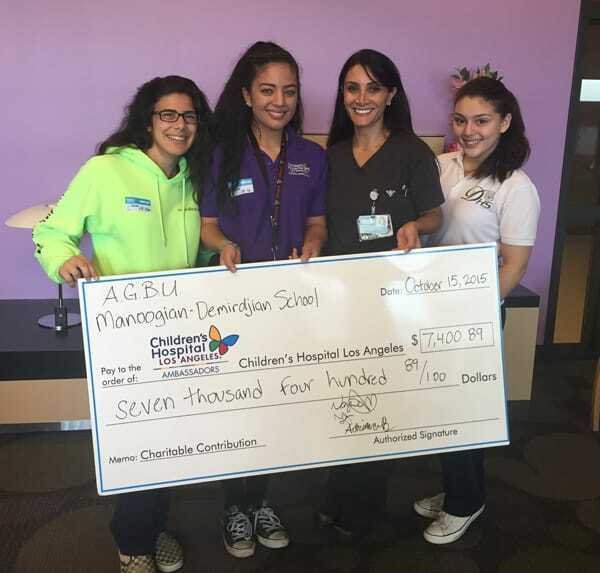 On October 15, 2015, AGBU Manoogian-Demirdjian School’s Cancer Awareness Club leaders visited Children’s Hospital Los Angeles to present a check for $7,400 from their 2015 fundraising efforts. Since 2013, AGBU MDS has raised over $14,000 in support of the Children’s Center for Cancer and Blood Diseases at CHLA through their Cancer Awareness Club, launched by Nora Galoostian, a CHLA Junior Ambassador Committee Member. During their visit, AGBU MDS students and staff met with Sona Daldumyan, RN who provided a behind-the-scenes tour of the Children’s Center for Cancer and Blood Diseases and spoke of how philanthropic support impacts the lives of our brave young patients. Thank you AGBU Manoogian-Demirdjian School for all you do! We are so proud to have you as a member of the Armenian Ambassadors at CHLA. 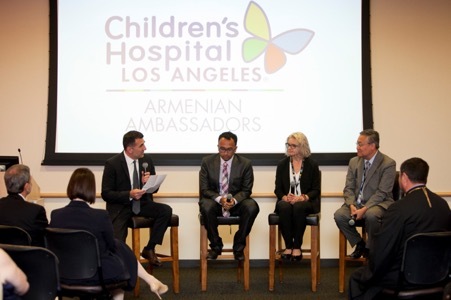 On October 7, 2015, the Armenian Ambassadors Leadership Council of Children’s Hospital Los Angeles held its inaugural meeting. Council members Alice Chakrian, Ani Simonian, Vahe Soghomonian, Taguhi Sogomonyan and George Tonikian attended with Diran Avagyan representing His Eminence, Archbishop Hovnan Derderian. 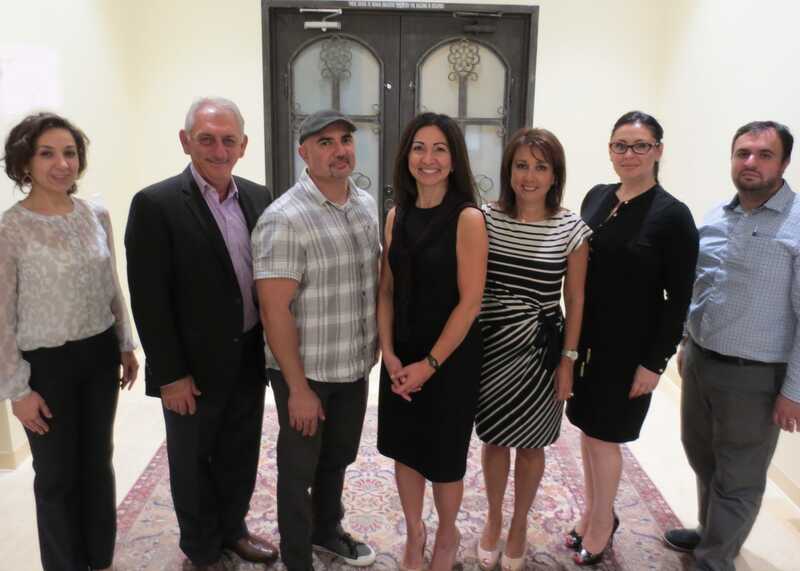 The council will provide leadership by setting fundraising priorities, connecting other members of the Armenian community to CHLA, inspiring philanthropic support and representing CHLA in their professional and personal circles. The Council is eagerly looking forward to planning 2016 activities and agreed to meet quarterly beginning January, 2016 and will also participate in the Ambassadors Conference to be held March 16, 2016. Children’s Hospital Los Angeles is incredibly fortunate to have these genuinely compassionate and committed individuals leading the Armenian Ambassadors. On behalf of everyone at CHLA, thank you to our Leadership Council! On Wednesday, June 3rd, Children’s Hospital Los Angeles President and CEO, Richard D. Cordova and physician leaders Ara Balkian, MD, MBA and Thomas C. Lee, MD welcomed the Armenian community to CHLA for a reception and program. Dr. Balkian and Dr. Lee shared how CHLA touches the lives of Armenian children locally and in Armenia. The evening concluded with the launch of the Armenian Ambassadors of CHLA, a group of Armenian supporters that make our work possible. System Of A Down was recognized at the event as Honorary Armenian Ambassadors, with band members Serj Tankian and Shavo Odadjian in attendance. For more information about the Armenian Ambassadors, please contact Rita Terterian at rterterian@chla.usc.edu.